BattleTanks II is a combination action/strategy tank combat game where you can battle against up to 3 other teams of computer-controlled tanks, in one of 5 unique battlefields. BattleTanks II features three tank types to choose from, each with their own strengths and weaknesses. There are many ways to win a war in BattleTanks II. If you like being the commander of your army, you can sit back away from the action, directing your army's actions strategically. However, if you prefer action, there's nothing stopping you from helping your tanks out and join the fight. You can make sneak attacks, massive assaults, try weakening your enemy with artillery, and much more. These expansion packs are free map and tank add-ons to BattleTanks II. If you are interested in creating your own tanks or maps for BattleTanks II, read ”Expanding BattleTanks II”. If you created an add-on tank or map for BattleTanks II, feel free to click the “Edit” button at the bottom of this page and add it to the appropriate list below. 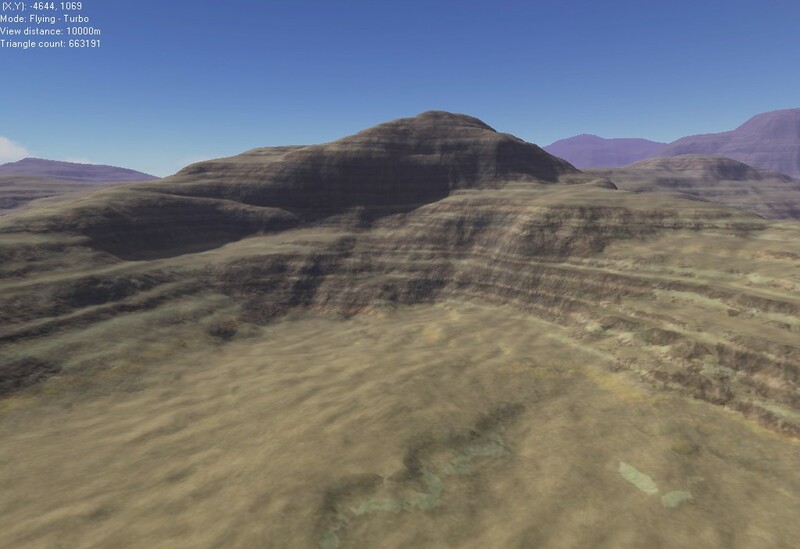 → atMap4 by Aaron Torpy (1.8 MB) — Sun's Anvil (uses the new desert climate). The BattleTanks II engine is completely scaleable, with adjustable graphics settings allowing it to run smoothly on any PC that meets the minimum requirements. Texture Studio is all you need to produce professional quality textures for use in games and tiled backgrounds. Texture Studio includes a set of integrated tools, all extremely useful for creating high quality seamless textures. Texture Studio is so easy to use, a photograph can be converted to a smoothly tiling, seamless texture with a single click. Alternately, you can adjust settings to fine-tune the look of the results. Makes an image seamless with an single click, although every aspect can be fine-tuned. Perspective correction can “extract” textures from a photo, even when the camera is at an angle from the texture. Contrast and sharpness adjustsments can transform a dull, blurry image to a crisp, colorful texture. Shadow correction removes contrasting shadows that cause noticeable patterns when seamless textures are tiled. Included with Texture Studio is a user manual, tutorial guide, and examples.